Valentine’s Day is quickly approaching and you may be brainstorming a bit to figure out the perfect gift to give to that special woman in your life. 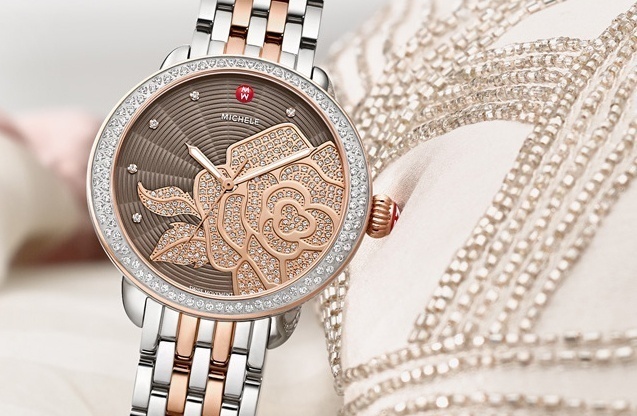 May we recommend an exquisite Michele watch to put a smile on your loved one’s face on this special holiday? Michele luxury brand watches come in a wide array of styles, colors, and materials, so no matter what type of fashion-forward woman your special someone may be, there is a Michele watch sure to suit her individuality and accessory style. 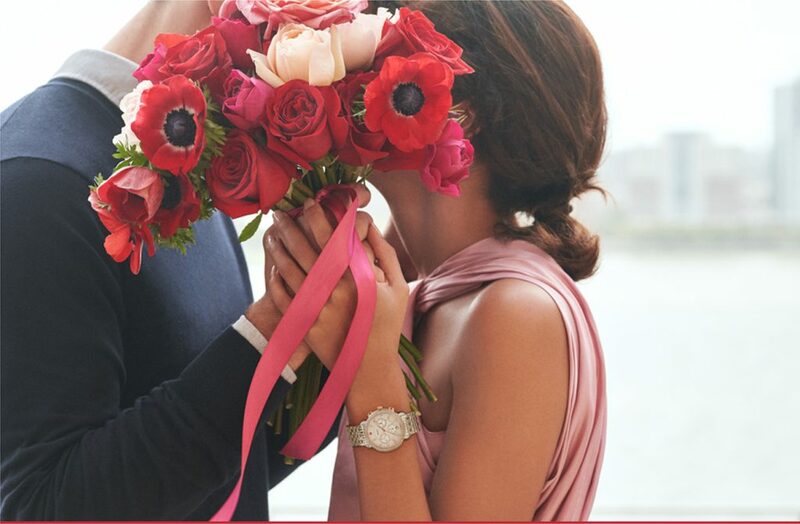 If you live in Ambler, Abington or Willow Grove and find yourself shopping for a keepsake gift which your Valentine is sure to love, Precision Watches & Jewelry in the Willow Grove Park Mall, an authorized retailer of Michele watches, can show you a wide selection of options, ranging from diamond-clad offerings to more subtle accessory wear items. With so many gift options available for Valentine’s Day, you may wonder why a Michele watch would be a suitable option. There are many reasons which support giving this luxury brand watch as a gift for Cupid’s special day. First, by giving your loved one a Michele watch, you are showing that individual that you are taking the time to select a sentimental keepsake which will be appreciated for years to come. You put your whole heart into selecting the perfect gift for your special someone to enjoy and it will show as soon as she opens up this exquisite heartfelt gift. Secondly, this is the type of gift, and accessory, which will see a lot of use. It is one which can be worn daily and put to good use for a long time, as opposed to other gifts, such as chocolates, wine or flowers, which have a few days to shine and then their use is depleted. A lovely Michele watch will stand the test of time. When you’ve decided that a Michele timepiece is what you want to purchase for that special lady in your life, you’ll have quite a few to choose from at Precision Watches & Jewelry. 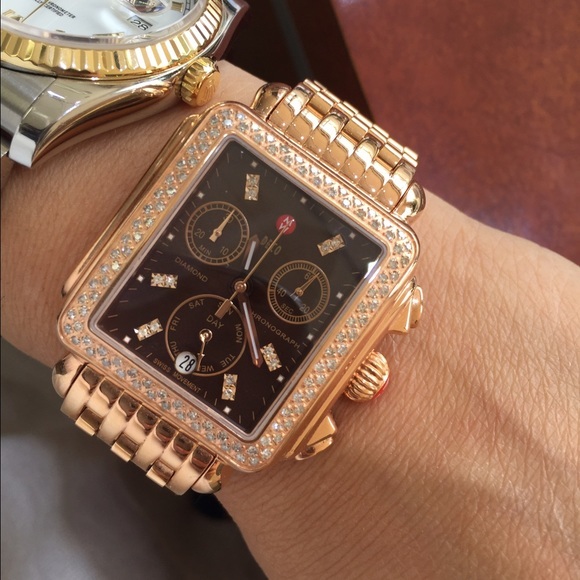 Some of the watch models which the Michele brand offers include the Michele Sidney Pink Gold Diamond Watch, Michele Deco Gold Diamond Watch, Michele Serein Diamond Watch, and many more items. The best way to decide which Michele watch the special woman in your life will love is to visit Precision Watches & Jewelry in Willow Grove. Peruse the extensive selection of Michele watches and see which watch model suits your loved one’s style perfectly. The friendly and professional staff at Precision Watches & Jewelry in the Willow Grove Park Mall will help you to choose a Michele watch which fits your favorite woman’s style and your budget perfectly. From diamonds and pink gold to gold and stainless steel treasures, there is sure to be a Michele watch which will catch your eye at Precision Watches & Jewelry.